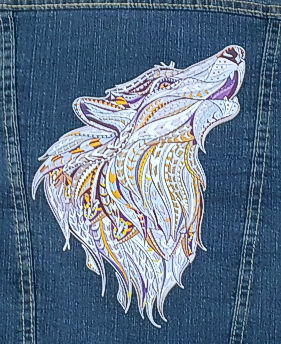 The Wolf Howl Trucker Jacket features a stunning graphic of a howling Wolf on the back. 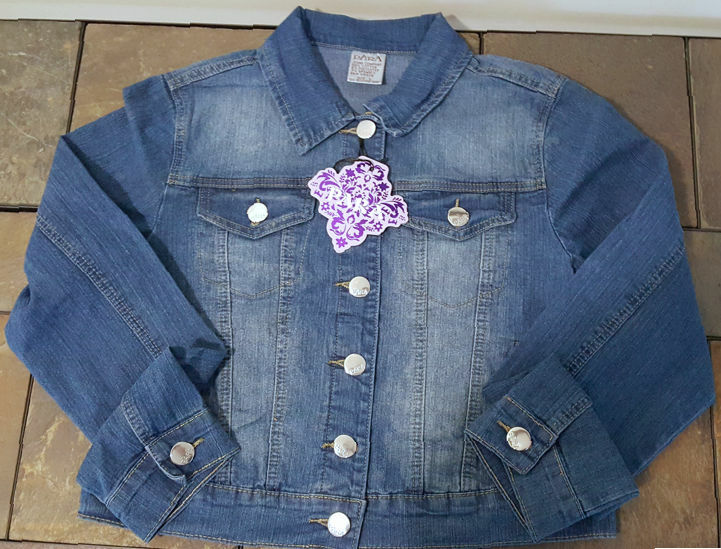 This jean jacket also features 4 pockets, two of which have button closures and the other two are side pockets. These Junior sized jackets are made of 88% cotton, 9% polyester and 3% spandex. Machine wash inside out in cold water on the gentle cycle. Tumble dry low. Do not bleach or use an iron on the graphic. This would make a wonderful Wolf gift for a young girl or woman who loves Wolves. 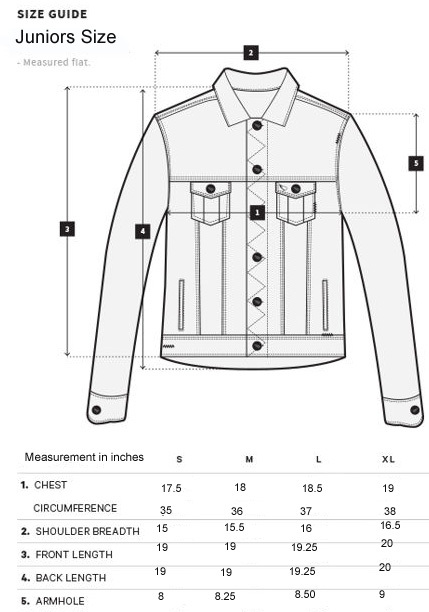 See size chart below for a good fit.